Let's rethink how we do things when it comes to energy, water, fuel and food. There is a path to sustainable and cost-effective production and delivery of food, energy and water. Meet locals who have experience and knowledge about energy saving installations such as solar panels, solar water heating, rain water tanks and catchment, and food production, storage, preserving. 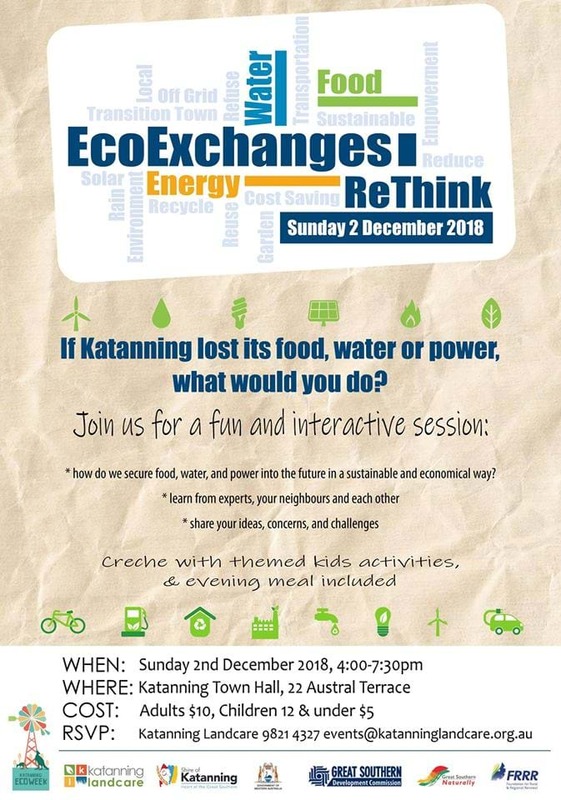 Register by contacting Brenda at Katanning Landcare. Creche provided with fun energy, food and water activities.